LEGO Dimensions is adding three new content packs to the main game. For those of us born in the 1980s, there's a handful of new goodies for you - namely the Goonies level pack. 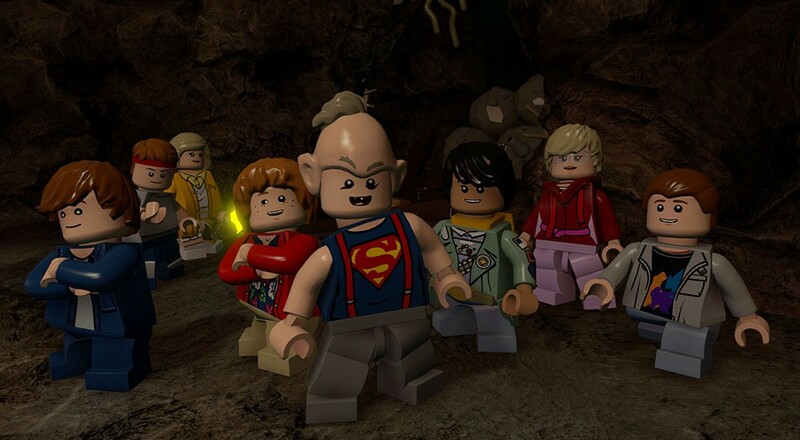 The Goonies Level Pack includes a complete level of The Goonies gameplay where players can help Sloth and Chunk escape the Fratelli hideout and join the rest of the Goonies on their search for One Eyed Willy’s treasure. Players can use Sloth’s Super Strength to smash through walls or play as Chunk and use his infamous Truffle Shuffle. That's not the only 80s goodness though for LEGO fans, the latest trailer in the “Meet That Hero” series hit YouTube, and features Sonic the Hedgehog introducing Michael Knight (Knight Rider), who will make his way to LEGO Dimensions this week on February 10. The other two packs available are the Harry Potter Fun Pack which includes a Hermione Granger LEGO minifigure and the LEGO City Fun Pack featuring a Chase McCain LEGO minifigure. Developed by TT Games and published by Warner Bros. Interactive Entertainment, LEGO Dimensions features two player couch co-op and is out on PlayStation 4 and PlayStation 3 computer entertainment systems, Xbox One, Xbox 360, and the Wii U system. Page created in 1.1032 seconds.